Magna Carta Recent News: Cairo - "Cairo"
"The five-man Cairo were formed in the San Francisco Bay area in the early 1990s. This double album, a two-for-one re-release, consists of their eponymous debut album from 1994, coupled with its follow up, "Conflict and Dreams", from 1998. 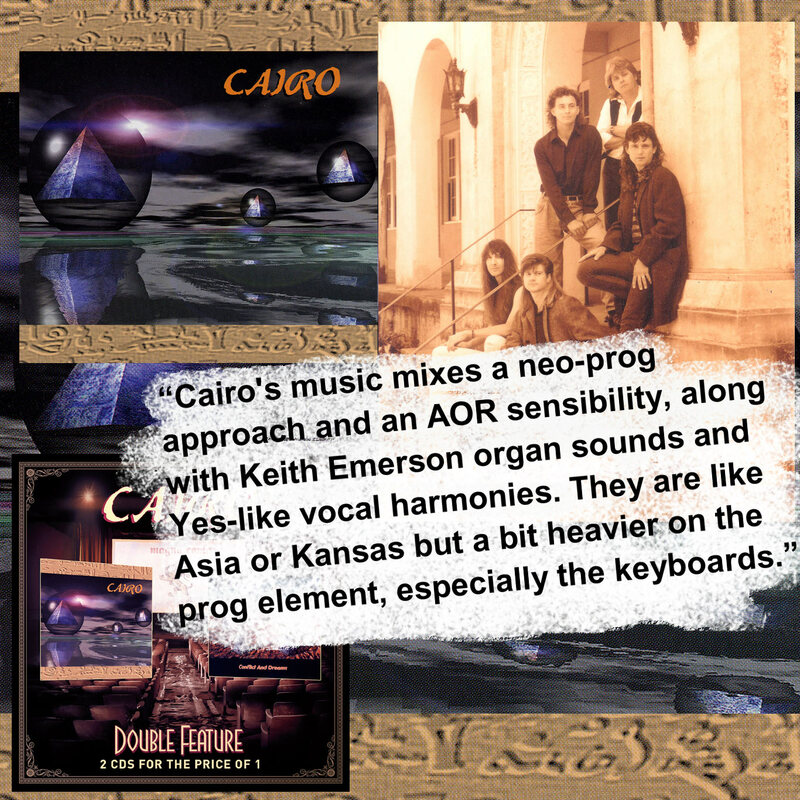 Cairo's music mixes a neo-prog approach and an AOR sensibility, along with Keith Emerson organ sounds and Yes-like vocal harmonies. They are like Asia or Kansas but a bit heavier on the prog element, especially the keyboards. Cairo's debut album, after a short instrumental, kicks off with the AOR prog of Season Of The Heart. It is a fairly straightforward anthem with a stadium rock chorus, but it does mark out Cairo's musical identity. It is full of Mark Robertson's neo-prog synths and Hammond organ, balanced with Alec Fuhrman's guitars and fronted by Bret Douglas' strong and controlled tenor lead vocals." 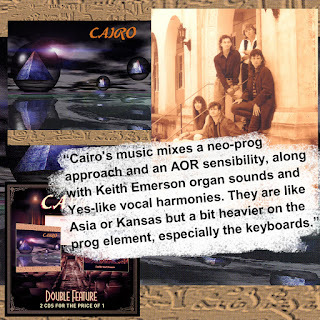 A specially priced Limited Edition 2 CD set of the first 2 albums by progressive rock band Cairo. "Cairo" and "Conflict and Dreams"